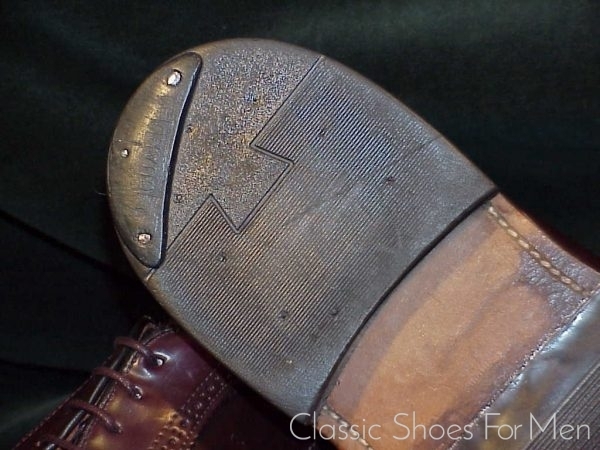 Schuhe aus Pferdeleder sind allerbeste amerikanische Tradition. Bitte beachten Sie die Doppel-Sohle und den “Split reverse Welt-Storm Welt” (Bild#9). 42.5D (US 9.5D) (UK 8.5E), für den mittel-breiten Fuss. 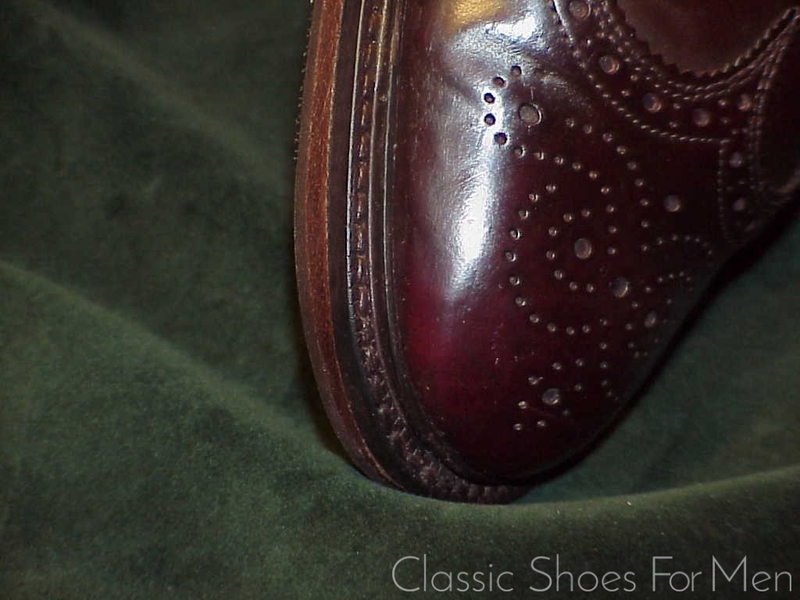 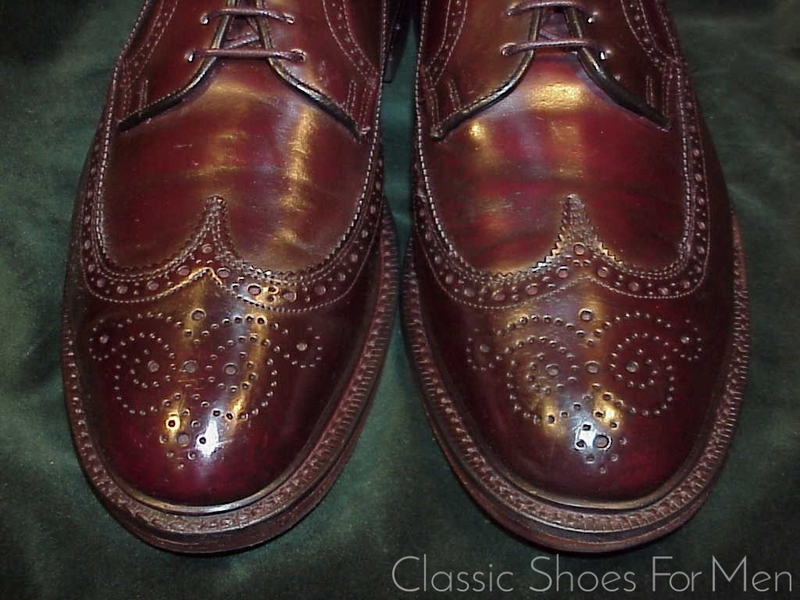 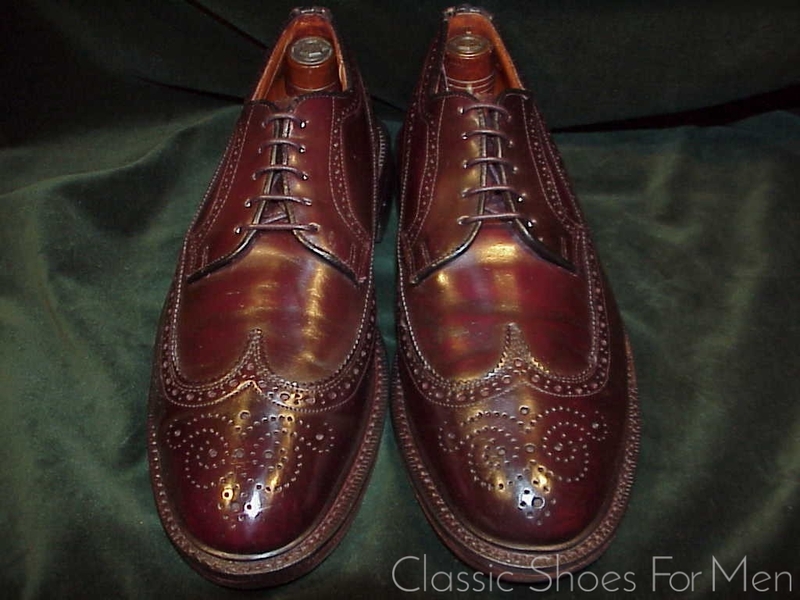 A beautiful shoe in Oxblood colour horsehide from the best tannery in the world, Horween, these shoes show depth of colour that will only improve with time; this is already the colour of your 18th century bureau-plat. 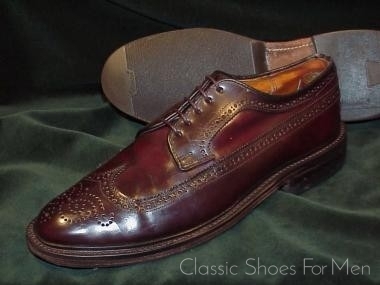 With its Goodyear welted leather sole with “Split Reverse Welt-Storm Welt”, a no-nonsense, no-compromise, indestructible shoe for the gentleman and ideal year round and an absolute basic in the wardrobe. 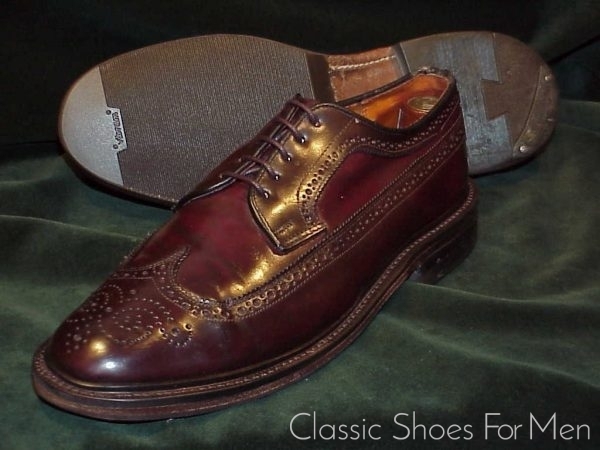 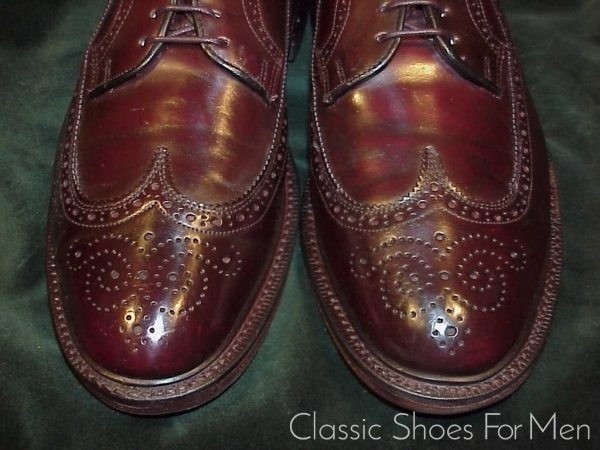 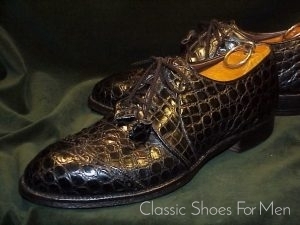 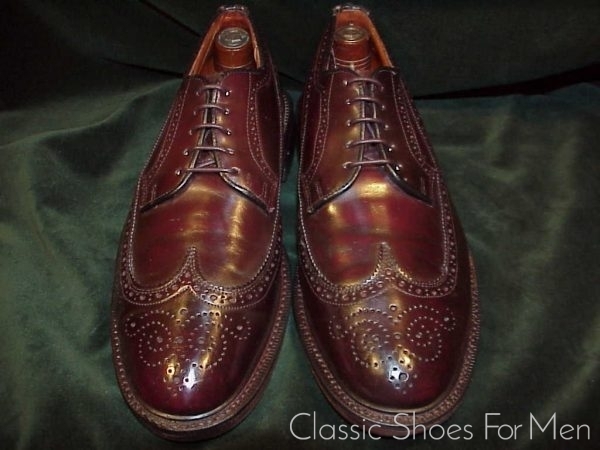 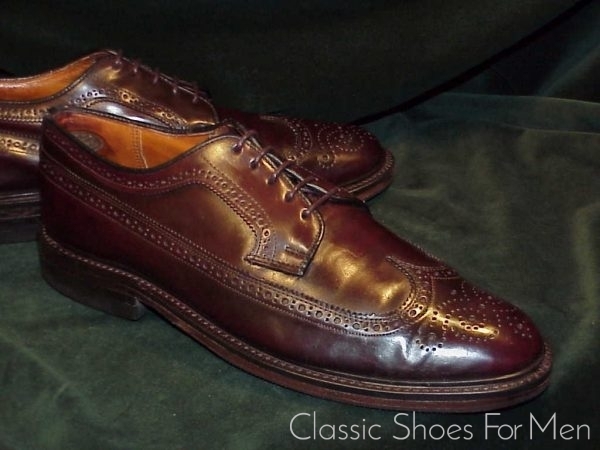 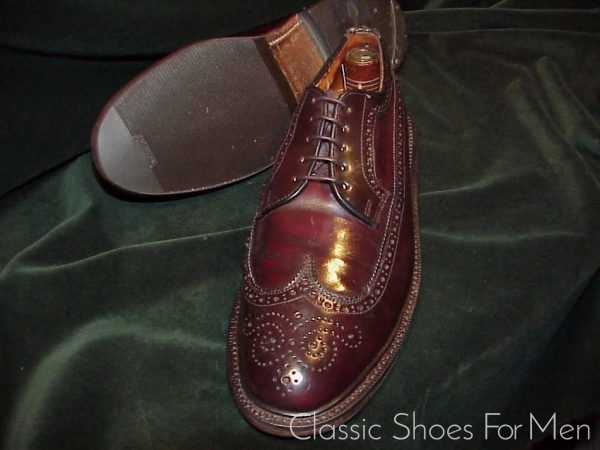 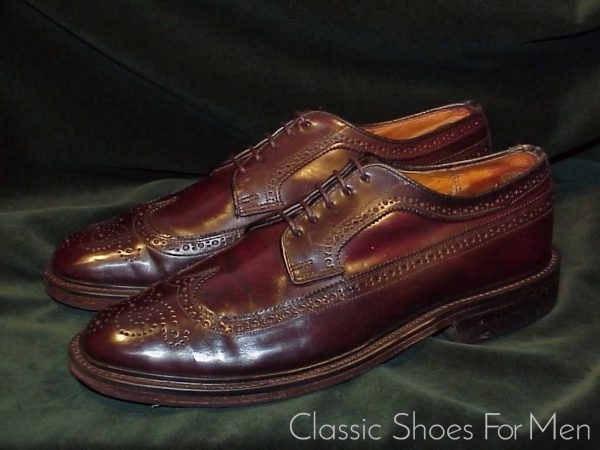 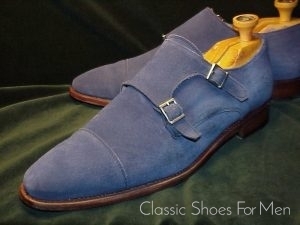 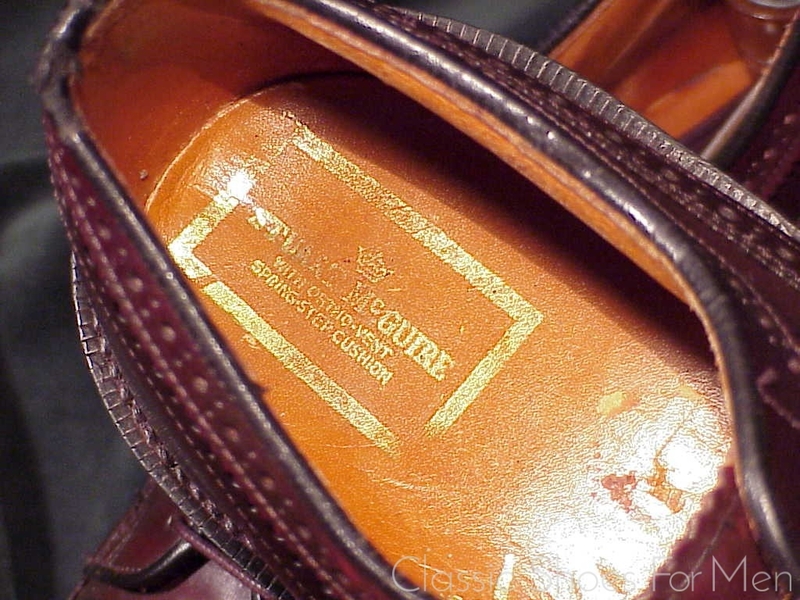 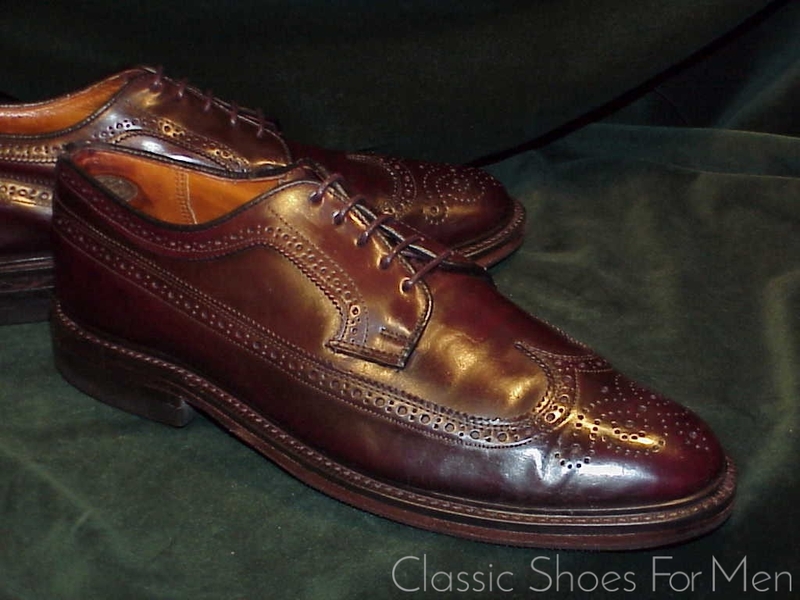 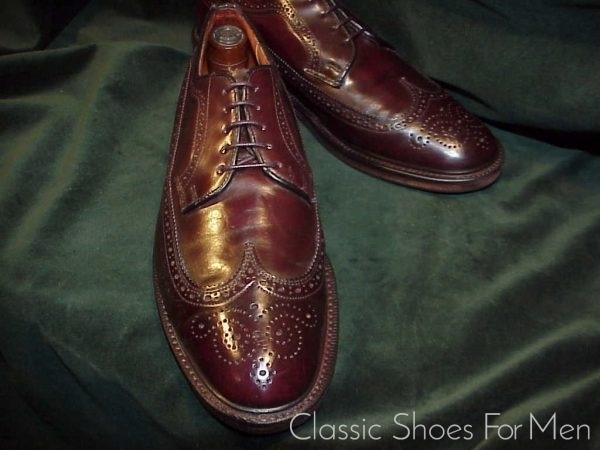 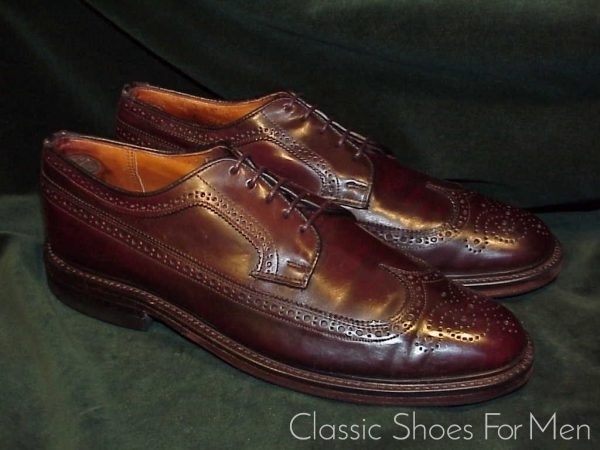 This vintage shoe is of the highest quality and should not be compared to the products sold today under the Stuart McGuire name. 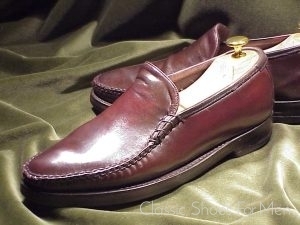 Made in the 1970s or 1980s, it compares to Florsheim, Hanover or Cordwainer in both build and leather quality and has a slightly more elongated form, most flattering to the foot. 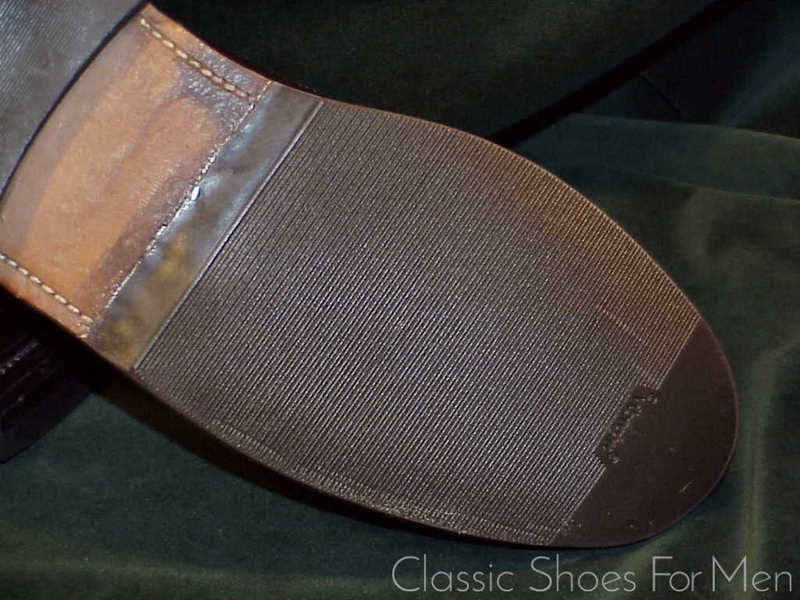 The interior is beautifully padded with extra padding added to the heel (this is removeable is needed). A thin rubber”Topy” sole protecter has been added for comfort and extra traction and protection from wet. 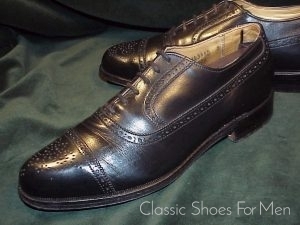 US 9.5D (UK 8.5E) (Continental 42.5D), for the medium width foot. 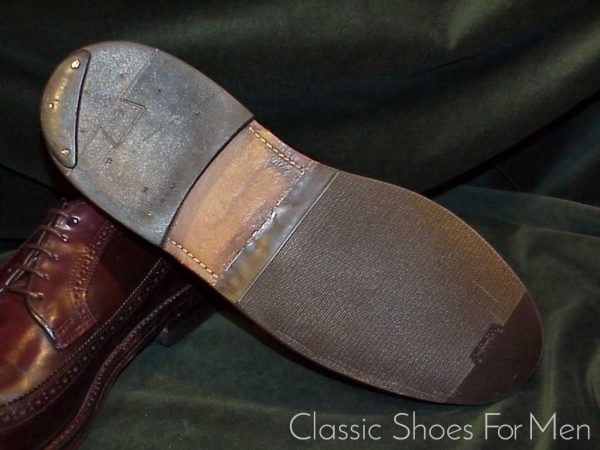 New Vibram protective sole added. Heels hardly worn and tops excellent.